After putting the new Raspberry Pi 3 through its paces, the device gets a big thumbs up from our reviewer. When last we left, I had summarized an interview conducted by The Pi Podcast with Raspberry Pi founder Eben Upton concerning the release of the Raspberry Pi 3. Since then, I was lucky enough to purchase one of the devices and spent the last several days getting to use it for the first time to see how well it lives up to the hype. The Raspberry Pi 3 proves that great things can come in small packages. Yes, it is faster: The Raspberry Pi 3 is hands down faster than any of its predecessors. It’s supposed to be about 50-60 percent faster, but 100 percent is more like it. As a developer, one of the main things I like to do with the Raspberry Pi is experimental dev work. This sometimes involves using an IDE and referencing some API documentation online. 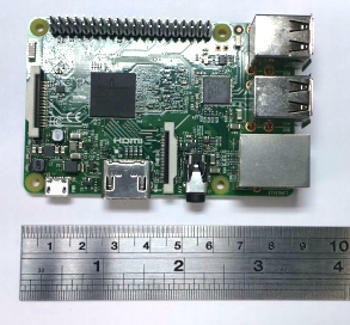 When I would use a Raspberry Pi 2 it was always rough going. A lag would occur most times when I would type too fast using the IDE or try to scroll quickly on a web page, and using both in tandem would sometimes hang the Pi to the point of a possible reboot. Eventually, I would have to get my laptop to use for the Internet while using the Raspberry Pi 2 for the IDE, which created more hassle than it was worth. Now with the Raspberry Pi 3, I’m able to run and use my IDE of choice while also using the Internet without lag or hanging the Pi. This was always one of my biggest pain points with the Raspberry Pi and I’m extremely pleased to see that the increase in performance exceeded my expectations. It gets warm: I’ve read a few articles and blogs where people talked about how hot the Raspberry Pi 3 could get or was getting. So far I haven’t noticed any alarming levels of heat from the Raspberry Pi 3, but I also haven’t really taxed the system. Currently, I’ve only been installing developer frameworks, testing Lubuntu 16.04 and using it for day-to-day Internet. I will admit that during my daily activities, the Raspberry Pi 3 does get warmer than the Raspberry Pi 2 did, but nothing to get alarmed about. It has wireless: The wireless works great! Simply click on the Internet icon in the taskbar for whatever operating system you are using and the Raspberry Pi 3 will have a listing of wireless hotspots within range. I selected my home Internet, entered the password and was online. Bluetooth for some: While Raspbian is the only operating system to have Bluetooth working, it is still a work in progress. Currently the most stable way to set up Bluetooth on Raspbian is through the terminal, which isn’t the most user friendly. If you use the any of the Ubuntu flavors, then Bluetooth is currently in the works. The good news is that the Raspberry Pi 3 does have the Bluetooth capability and slowly but surely Bluetooth support will continue to get better. It requires more power: This is another topic I have read about recently, with people saying that the Raspberry Pi 3 requires a power supply of 2.5@5V to perform, which hasn’t been my experience. I’m able to use the same power supply I used for my Raspberry Pi 2 for the 3 with no problems. The only time I have experienced issues is when I used a USB powered external hard drive. Both the Pi 2 and Pi 3 are not able to power the hard drive, so I’ve had to use a 2.5@5V power supply in those instances. Summary: If you’re planning to use a microSD card that contains an already existing operating system, remember to update it. You could run into problems with the wireless or Bluetooth if you don’t update your image to the latest version. For those running the Ubuntu flavors, Martin Wimpress did an excellent job getting all the flavors prepared for the Raspberry Pi 3 in a very short time frame, and all the flavors perform extremely well. I do plan to test running OpenELEC or OSMC on the Raspberry Pi 3 streaming movies and videos, then checking heat levels, which I’m hoping do not significantly increase. Overall, I’m extremely pleased with the Raspberry Pi 3. The Raspberry Pi Foundation has long been saying that the Raspberry Pi is a viable desktop alternative and it appears that they are correct.